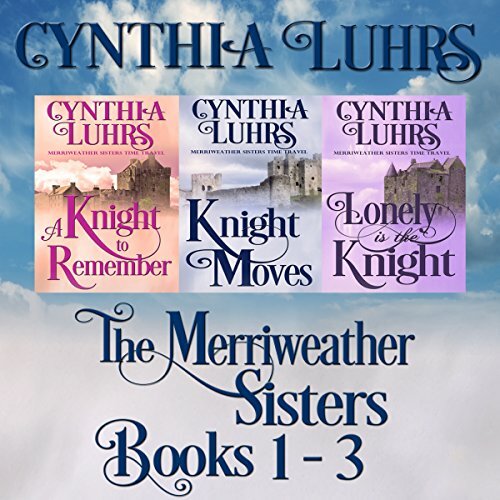 Listen to the first three books in the medieval time travel romance series listeners call addictive: A Knight to Remember, Knight Moves, and Lonely Is the Knight. Lucy Merriweather's supposedly perfect boyfriend attempted to murder her during a visit to Blackford Castle. Falling through time to 1300s medieval England, she lands in a tangled heap at the feet of a tarnished, grumpy knight with secrets of his own and no time to spare for a crazy damsel in distress. Melinda Merriweather's sister vanished on a trip to England. When someone tries to kill Melinda Merriweather, she knows there's more to the story of her missing sister. Determined to find out what happened, Melinda lands in England, only to get more than she bargained for. A picture she can't explain. A wrong turn leading to Falconburgh Castle and a whopper of a storm. Falling through time to 1300s medieval England, she finds herself staring at the pointy end of a wicked-looking sword. A weary knight swoops in and rescues Melinda, only to find out she's no swooning damsel in distress. Now Melinda's greatest fear is falling in love and never finding out what happened to her sister. Charlotte Merriweather didn't plan to steal the gorgeous low-slung sports car. But in her defense it was just sitting there running, with the door open, beckoning her. 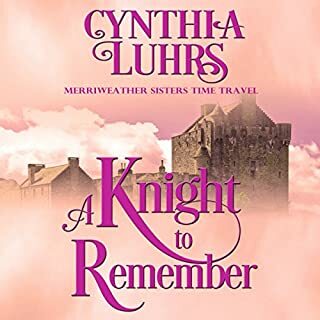 A terrible accident sends her traveling through time to 1330 England. Surely the handsome knight of the castle will aid her in the search to find her missing sisters? Henry Thornton has sworn never to marry. Even if he is enchanted by the odd woman he finds washed up on the shore. He'll aid her and send the lady on her way. Or not. 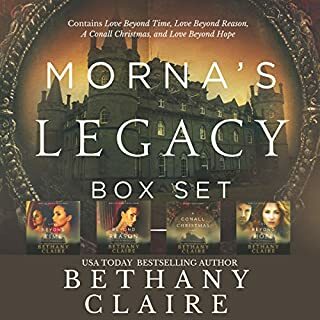 As the castle falls under siege, trapping Charlotte and Henry within the stone walls, will they risk everything for a chance at a love meant to last forever? Just warning anyone expecting it. Wish the author felt differently, but oh well. Maybe it will make me less shallow. I enjoyed the three stories. It made a cohesive set. The narrator made the story drag. I guess I’ve been spoiled by other narrators.